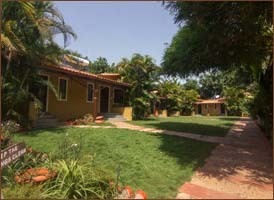 Idyllic setting at the foot hills of Panchgani. Only 4 kms from Wai, 1.5 hrs from Pune. 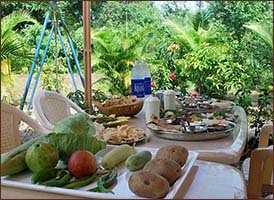 Package includes welcome drink, morning tea and breakfast. Extra meals, cold drinks, snacks, beverages, mineral water and Non-Vegetarian food will be charged separately. Transport arrangement will be extra. Details provided at the time of booking. For any advance bookings, 100% advance payment is essential to confirm the reservation. All bookings will be confirmed against 100% advance payment and realization of cheques. Click here for Rules & Regulations during stay. Any cancellation/amendment made within 7 days prior to the date of arrival, the full amount will be forfeited. Any cancellation/amendment made within 14 days prior to the date of arrival, 50% of the amount paid will be forfeited. Any cancellation/amendment made before 15 days prior to the date of arrival, 15% of the amount paid will be forfeited OR Only one postponement for the same number of rooms & days, upto 3 months from original booking date. In this case 10% of the amount paid will be forfeited and rest will be adjusted towards future bill at the rates prevailing at the time of new booking dates. The above terms and conditions are designed to serve you better and to avoid any discomforts on either side. Hope you have a beautiful and relaxing stay in our cottage. 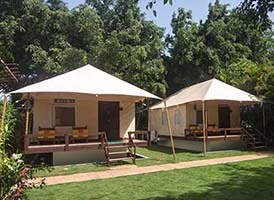 Book now Cottages Near Panchgani Mahabaleshwar. Happy Journey!